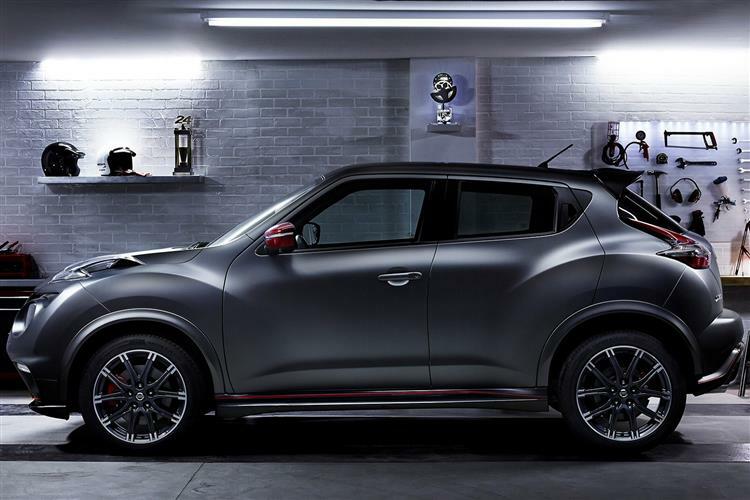 The Nissan Juke Nismo RS is a tiny crossover vehicle with a tall stack of attitude. Jonathan Crouch reports. 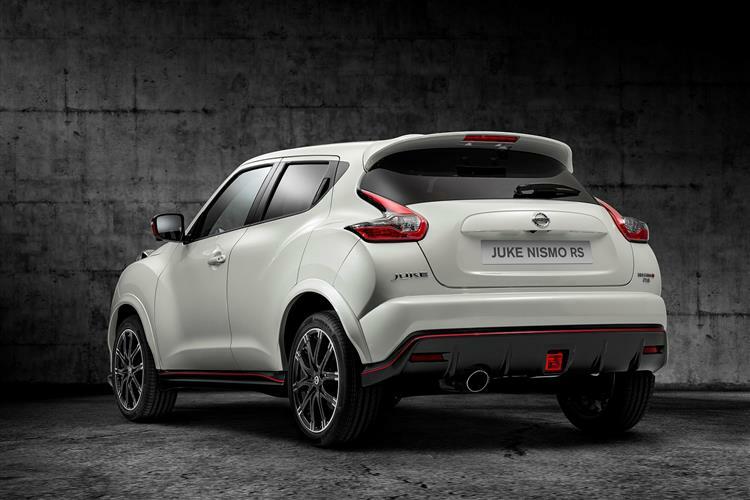 The Nissan Juke Nismo RS turns the wick up on the 1.6-litre DIG-T engine to 215PS. Buyers get to choose from a front-wheel drive manual version or the heavier, slower, thirstier and less torquey all-wheel drive model that's fitted with a CVT transmission. No prizes for guessing which one we'd opt for. To fans of the arcane ways of Japanese domestic market products, the house of Nismo is hallowed ground. Nissan Motorsports International Limited has been in operation since 1984 and the former Special Car Testing Division at the Omori plant has turned its hand to some wonderful vehicles. The most famous are the breathed-upon Skyline GT-R variants, but more recently Nissan has looked to NISMO as a brand within a brand; the equivalent of AMG to Mercedes or the M division to BMW. One of the fruits of this exercise is the Nissan Juke Nismo RS. No, it's something quite different from the crazed special order Juke-R that was to all intents and purposes a Skyline GT-R underneath outrageously-pumped bodywork. That car was hand made and cost $600,000 a pop. 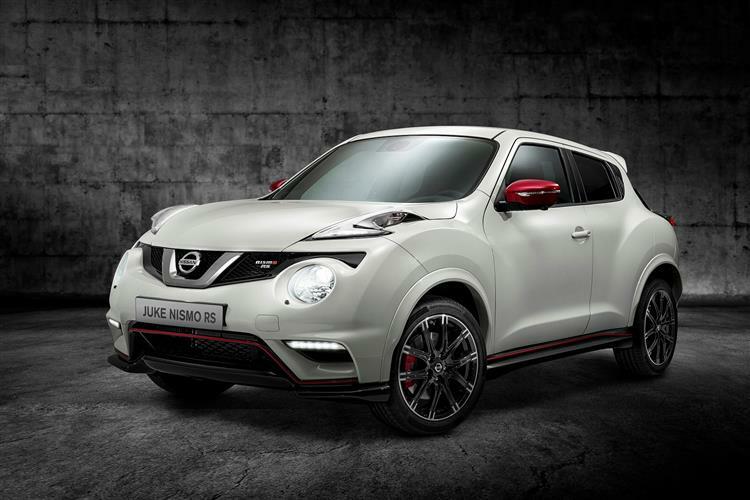 This time round, the more modestly powered Juke Nismo RS can be yours for a good deal less. The good news is that this isn't just a grille and spoilers job. 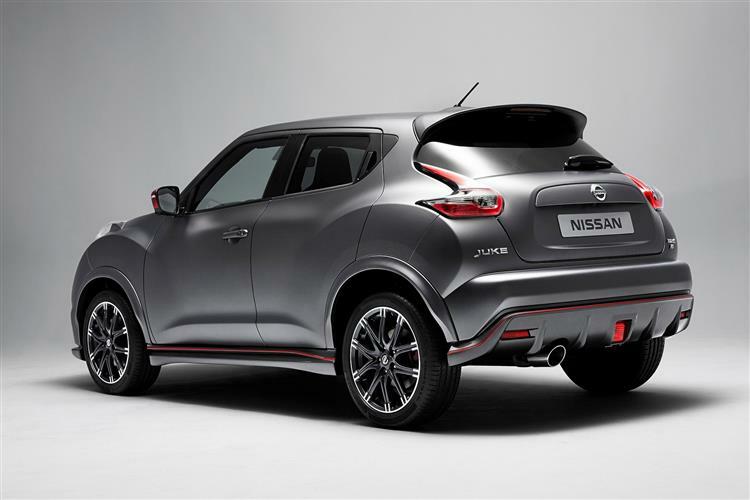 Nissan has tweaked the 200PS engine that's fitted to the Juke 1.6-litre DIG-T and in this guise, it's now good for a pugnacious 215PS. Torque in the front-wheel drive/manual transmission versions is increased from 250Nm to 280Nm. To ensure the chassis can successfully transfer the extra torque to the road, front-wheel drive models also benefit from the addition of a mechanical Limited Slip Differential on the driven front wheels. Instead of an LSD, the all-wheel drive versions rely on Torque Vectoring, Nissan's Xtronic transmission and a pared back 250Nm of torque. Xtronic transmission models also feature standard fit steering wheel-mounted paddle shifts to control the eight-speed manual mode. There's a retuned exhaust system to give a sportier tailpipe soundtrack, body strengthening to increase torsional stiffness still further, and brakes with a front disc size increased from 296mm to 320mm, while the rear discs are ventilated. Revised spring and damper settings complete the chassis changes. Expect top speed to nudge of around 138mph and a sprint to 62mph in around 7.4 seconds from the front-wheel drive version. Nissan has done quite a lot to the Nismo RS's exterior but hasn't over-egged it. Look out for red brake calipers, RS badging, lower front and rear bumpers, wider wings and sill side skirts, plus a dark chrome V-motion grille and a tailgate spoiler to better control airflow. There are also LED daytime running lights, red door mirror caps and a red pinstripe at the bottom of the car. The 18-inch split ten-spoke alloy wheels are shod with agreeably low profile tyres. There's only a limited colour palette available, so you'd better like one of White Pearl, Black Metallic or Silver Grey. 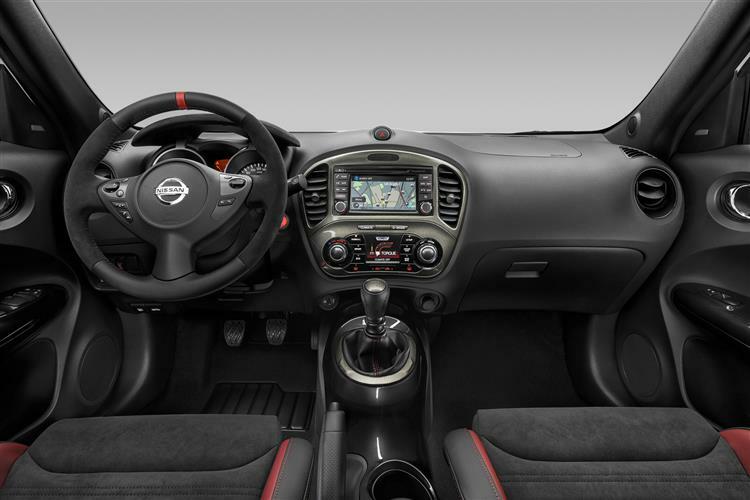 Drop inside and the predominantly black cabin is enlivened by a performance-oriented steering wheel, pedals, gauges, gear knob and door trims. 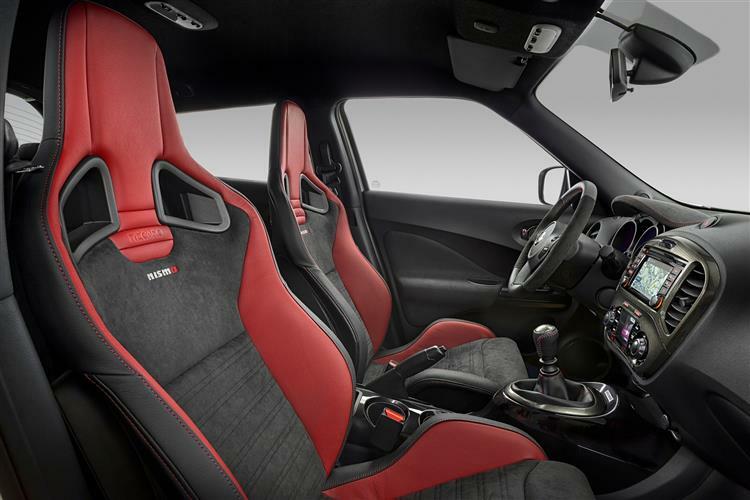 Special suede-trimmed Nismo sports seats with red stitching provide extra support and comfort during cornering. That motor bike style central console continues inside and features such as the console, door trims and other elements can be individually coloured red, white, black or even bright yellow. Changes have also been made to the shape of the luggage bay in two-wheel drive models to boost luggage space by an impressive 40 per cent, taking the overall capacity to a respectable 354-litres. Versatility is further enhanced with flat folding rear seat, making it easier to load large objects, while the inclusion of a two-stage floor in the luggage area makes the space on offer even more flexible. 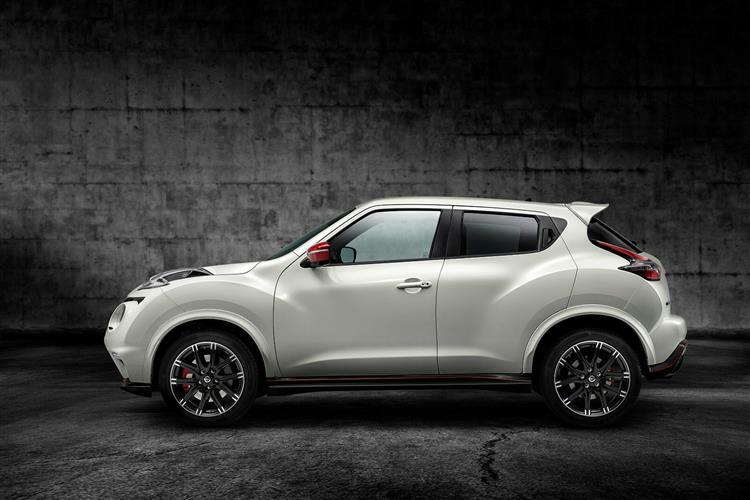 Prices start from just over the £20,000 mark for this Juke Nismo RS, which squares this car up reasonably closely to the rival 190PS MINI Countryman Cooper S. Standard kit includes a CD radio with an AUX-in socket, a gear-shift indicator and a tyre pressure monitor, front fog lights, automatic air conditioning, remote audio controls, Bluetooth connectivity for phone and audio streaming, cruise control with a speed limiter, the Nissan Dynamic Control System and chrome interior touches. The RS logo appears in the rev counter while a distinctive suede wrap covers the instrument binnacle. There's also an unusual water print finish on the shift knob/paddle shifters and the central cluster. 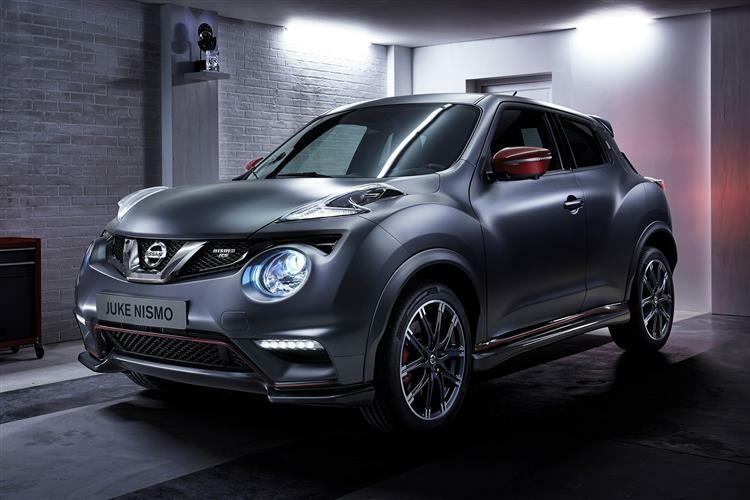 Options on the RS version include special Recaro sports "bucket" seats, Xenon headlamps, Nissan's Around View Monitor and Safety Shield which includes Lane Departure Warning, Blind Spot Warning and Moving Object Detection giving visual and audible warnings to avoid potential collisions. 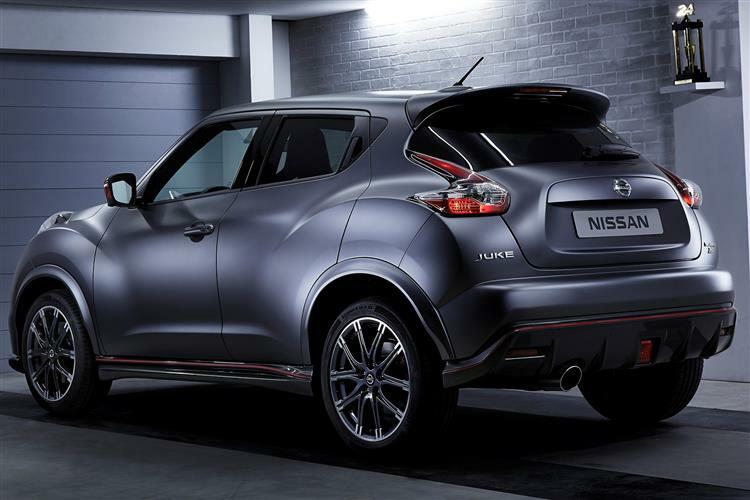 The updated Juke is looking to retain its predecessor's reputation as being inexpensive to run. Due in no small part to its distinctive personality, residual values have been a few points beefier than in many typical superminis. CAP Monitor quotes residual values of between 52 and 54 per cent after three years/60,000 miles, even outstripping the MINI hatchback by a good few points. 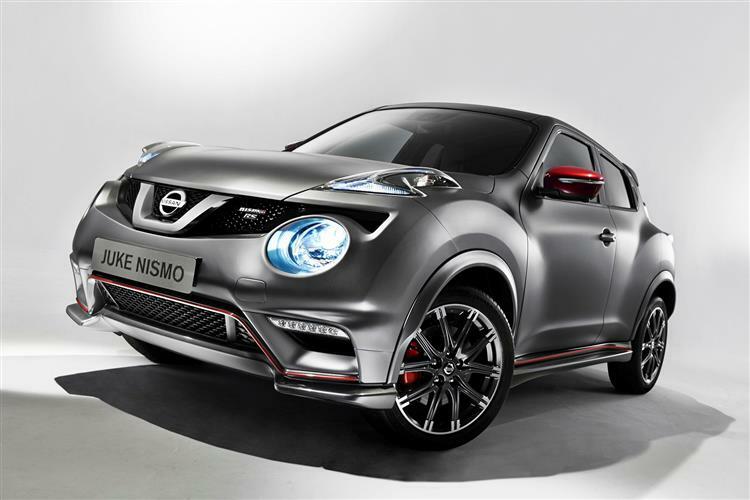 The Nissan Juke Nismo RS is a car that we sense is going to divide opinion. On the one hand, there's a lot to like about a car this capable. On the other hand, the styling isn't going to sit easily on every eye and the price of the Juke - a car that is Fiesta sized on the inside, remember - is creeping up into quite serious territory. Of the two versions, the car with the manual gearbox and front-wheel drive looks to be the one to go for as we've not been overly impressed by the Xtronic CVT transmission to date. Whether the Nismo RS in front-wheel drive guise in fact offers anything materially superior to, say, a Renaultsport Clio 200 is a point open to debate. It's certainly not a car you'd take off-road, so one reason you'd choose one is for the elevated driving position. 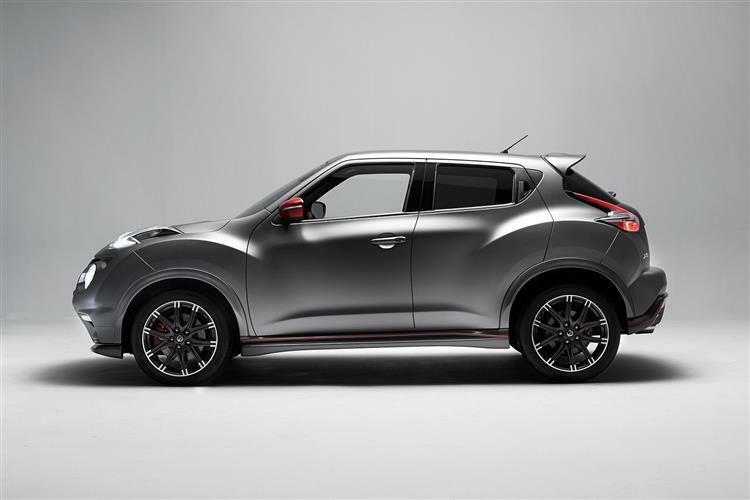 Another would be that you like the styling and the sense of mischief that suffuses the Juke. It's probably not one for the Nismo's highlights reel, but it has a certain appeal nevertheless.